‘The House Builder Upper’ opens with Olive crying on her doorstep. It’s soon revealed why: as the camera zooms out, it’s revealed her complete house has burnt down. Firemen Popeye and Wimpy arrive way too late, but they offer to help her build a new house. Enter a series of building gags, which elaborate on the Laurel and Hardy two-reeler ‘The Finishing Touch’ (1928). Like Laurel & Hardy, Popeye and Wimpy are lousy construction workers, with Wimpy excelling in silly acts, accompanied by a particularly goofy tune. So it’s no wonder, the complete house falls apart upon finishing. Enter that mysterious ingredient, spinach. After swallowing the contents of the can, Popeye builds a new house in a second. But even spinach isn’t sacred: even this house falls apart! 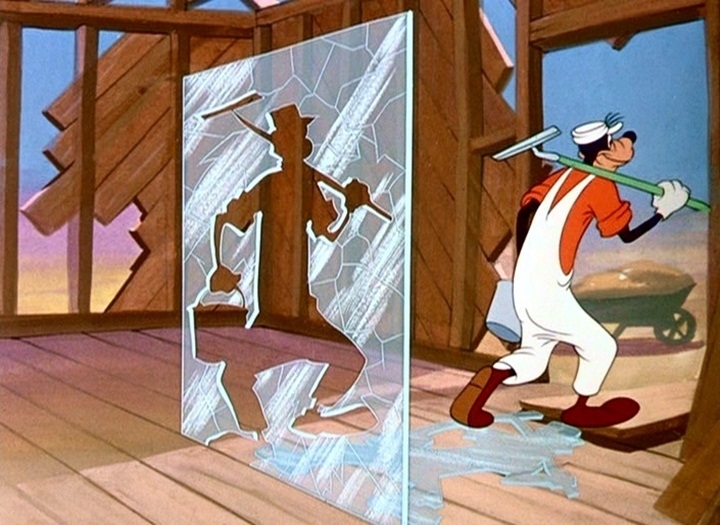 So, the cartoon ends with Popeye promising to try again. 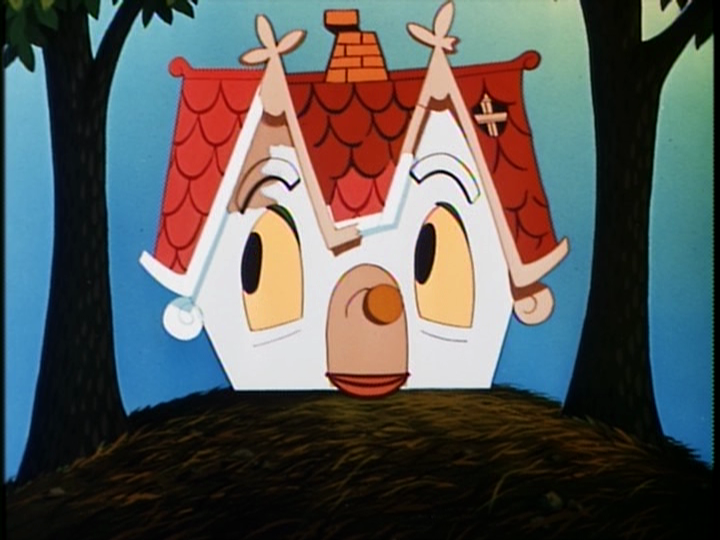 ‘The House Builder Upper’ is one of those pleasant Popeye cartoons in which the Bluto-Popeye-Olive love triangle has no part at all. It’s a great gag-orientated cartoon, and the gags come in plenty, with the bizarre finale as a highlight within the complete series.